Whatcha gonna do when VR runs wild on you? As VR becomes more mainstream in the consumer market, so do the types of unique experiences companies can offer fans of their products and brands. 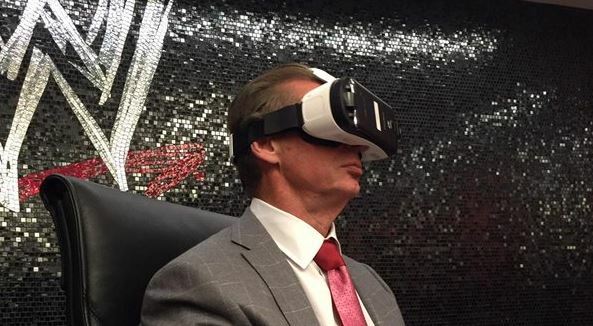 One such merging that seems like a natural combination to me is VR and the WWE. So, I wasn't too surprised to hear that the entertainment giant had partnered with NextVR to bring fans into the ring. This isn't the first time NextVR has brought this kind of experience to sports entertainment either. The company has partnered with the NBA, NFL, and Fox Sports in the past to name a few. Their app can be found on a number of VR platforms including the PSVR, Samsung VR, Microsoft Window's mixed reality. WWE fans can expect to enter the ring and get an up close and personal look at John Cena's glistening, sweaty pecs sometime in Q1 2018. No further details were available about the launch or what exactly will be included in the content. I like this. Imagine watching WrestleMania ring side through VR, but being able to switch between that and the broadcast version.